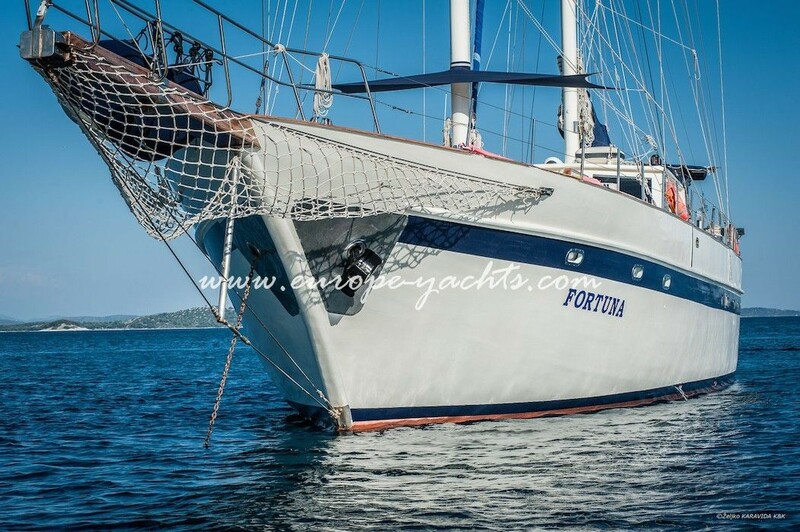 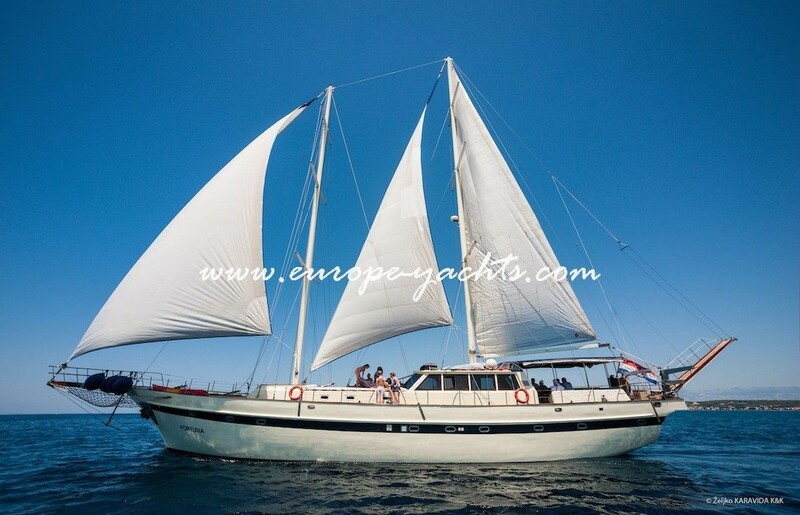 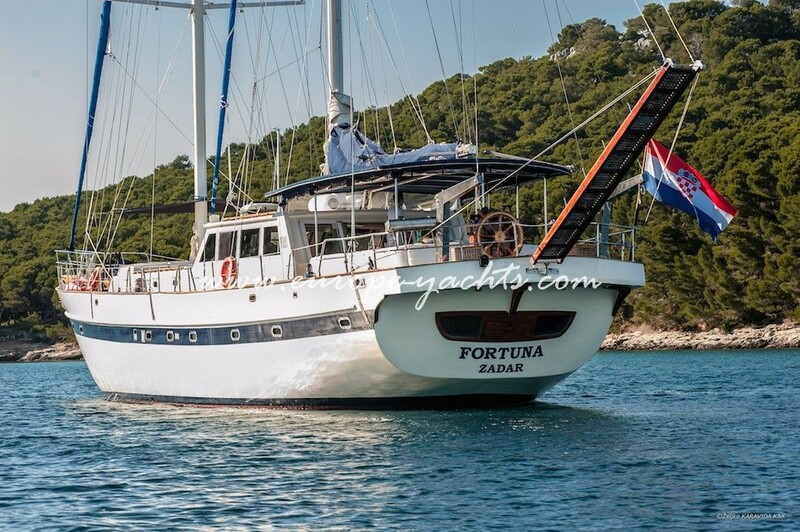 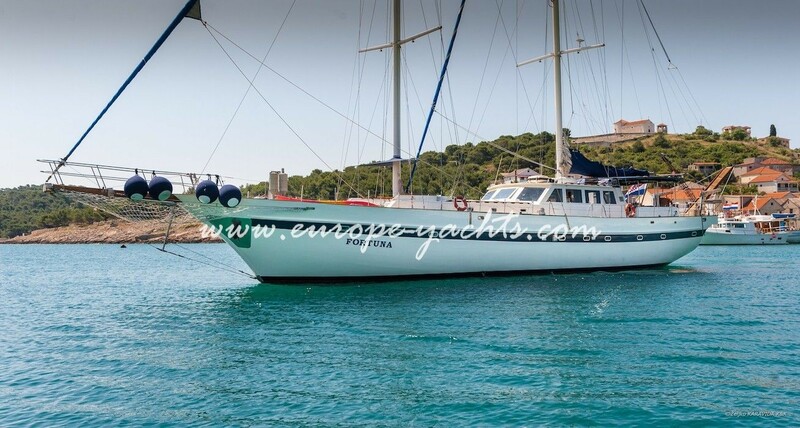 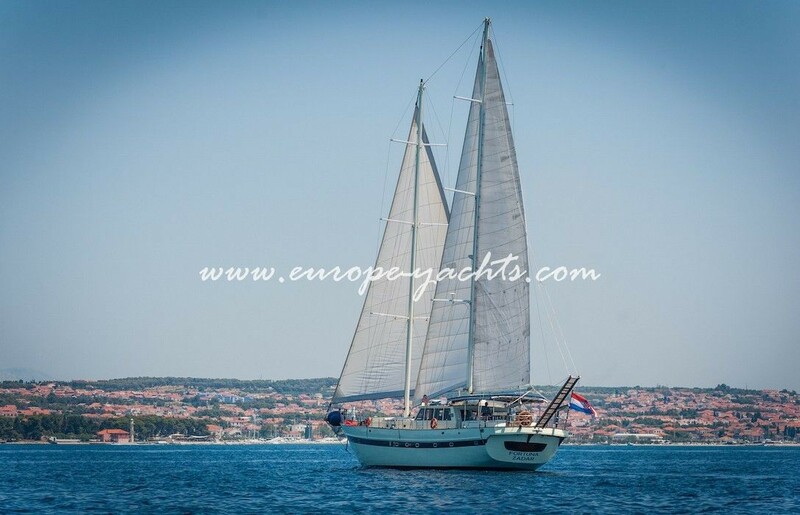 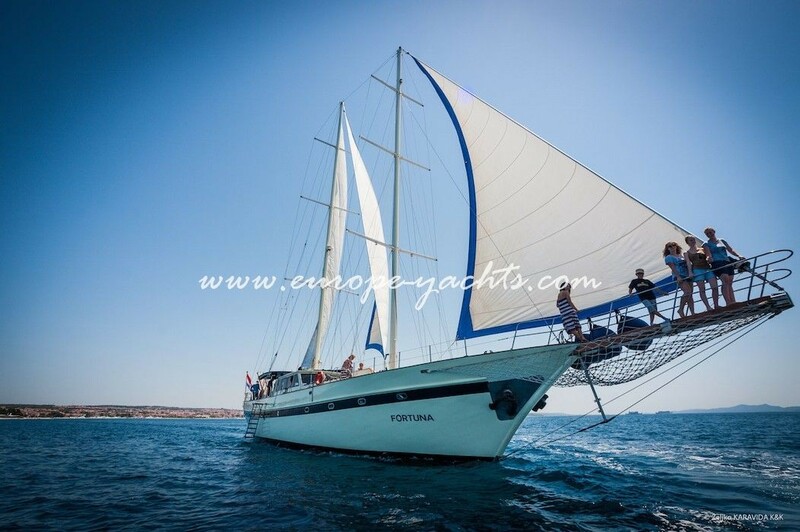 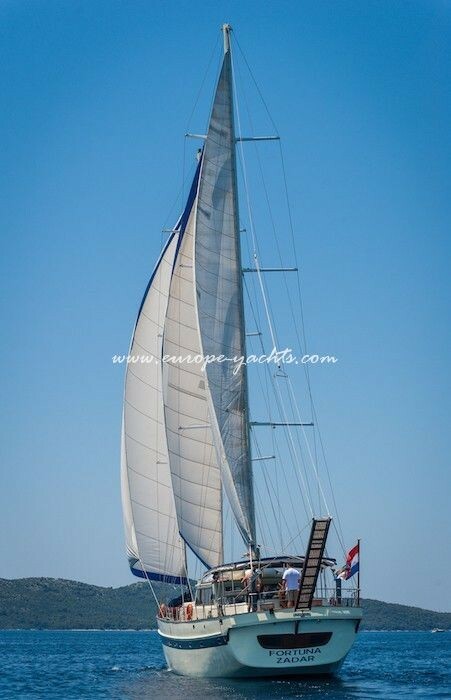 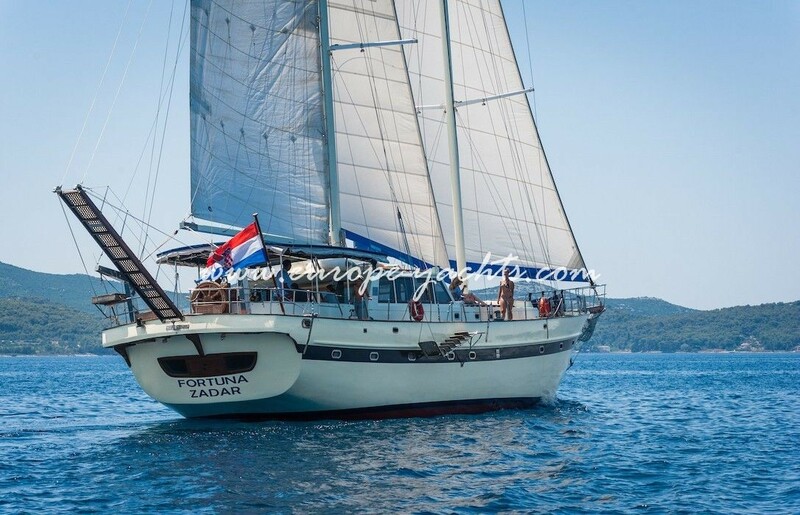 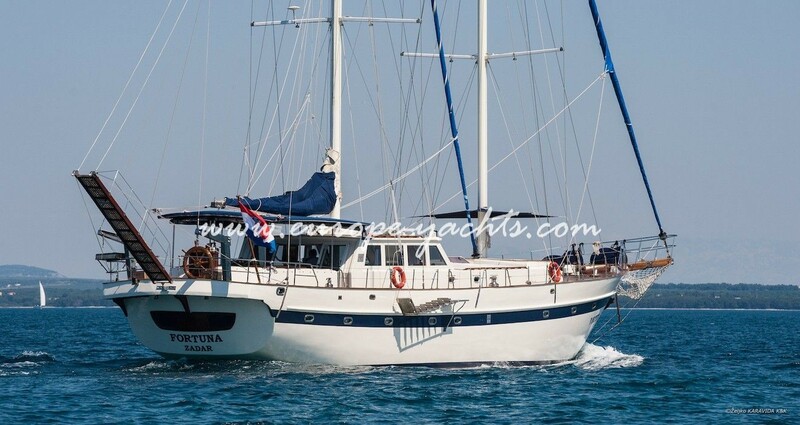 Gulet Fortuna (recon. 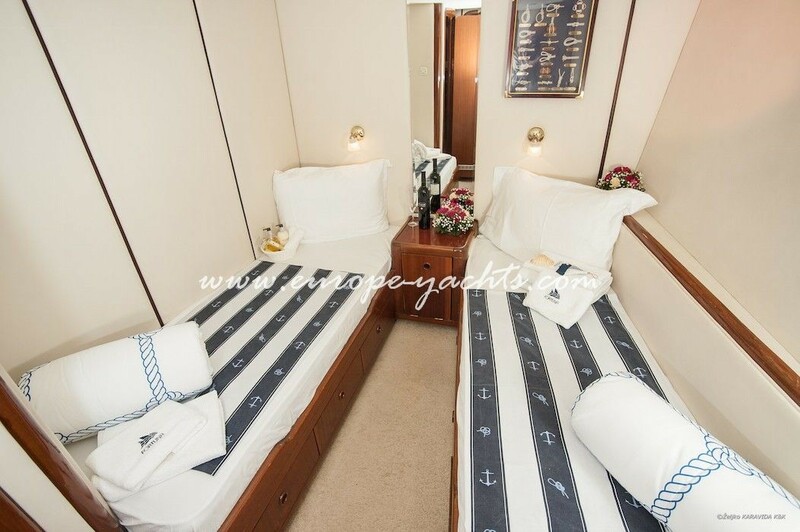 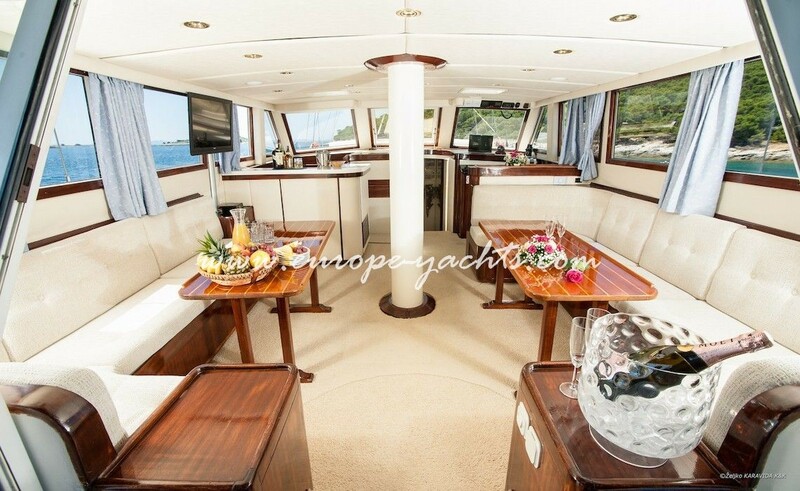 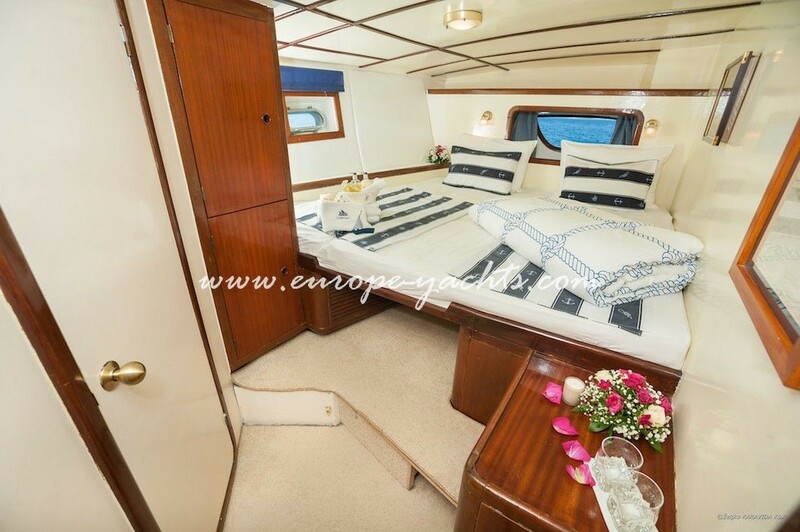 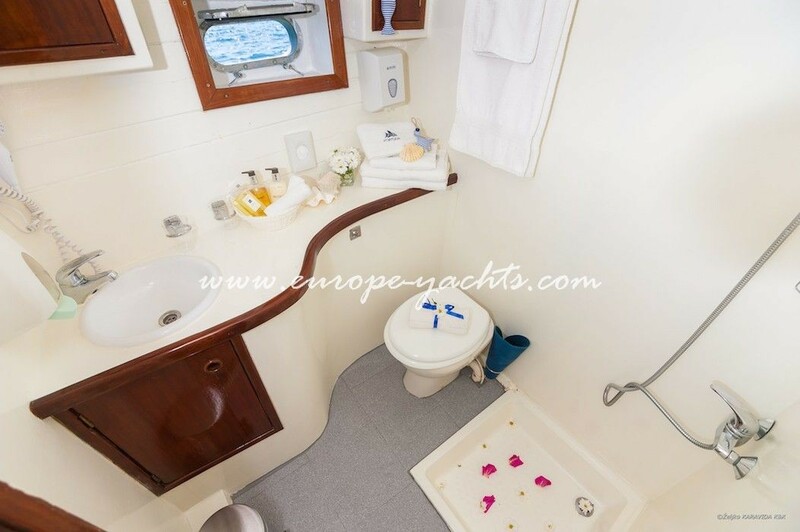 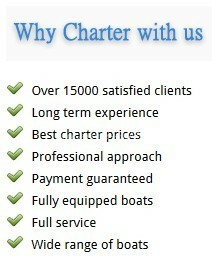 2006) has 4 double and 3 twin en-suite cabins, all spacious and comfortable. 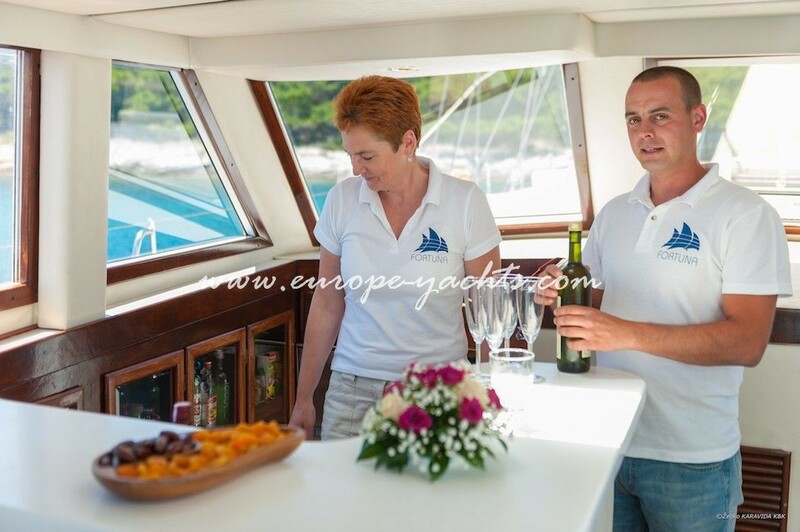 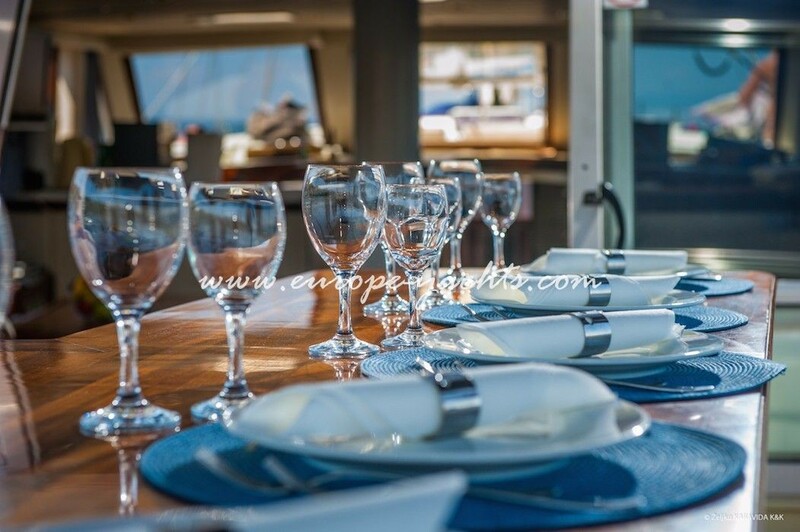 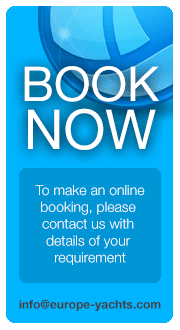 4-members crew consists of captain, technician, cook and deckhand but you can always choose to have a hostess on board too. 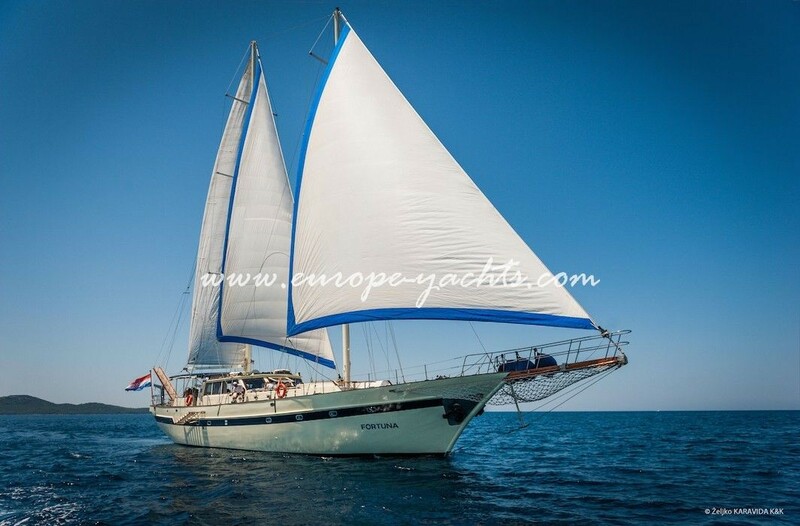 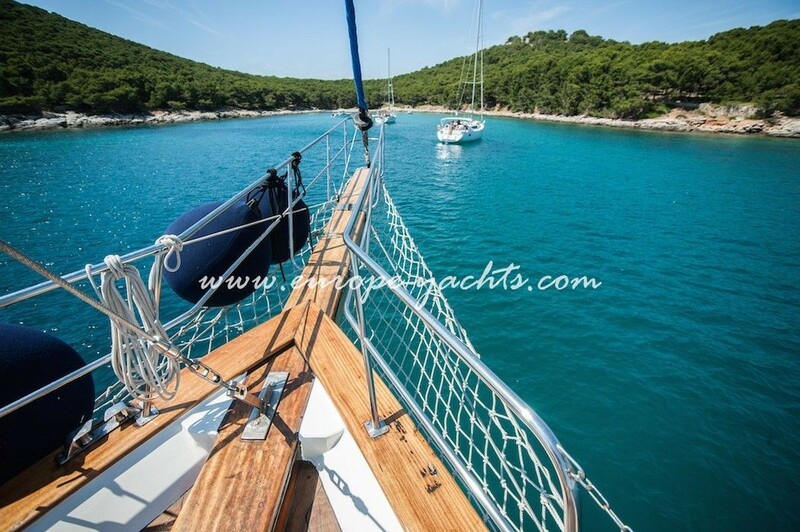 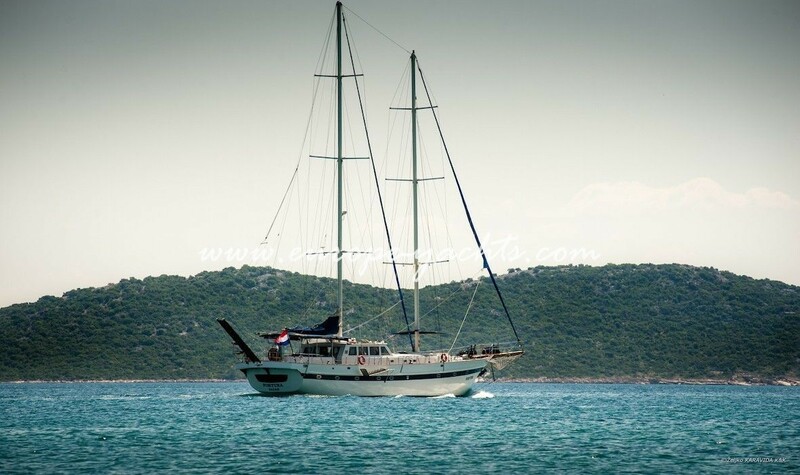 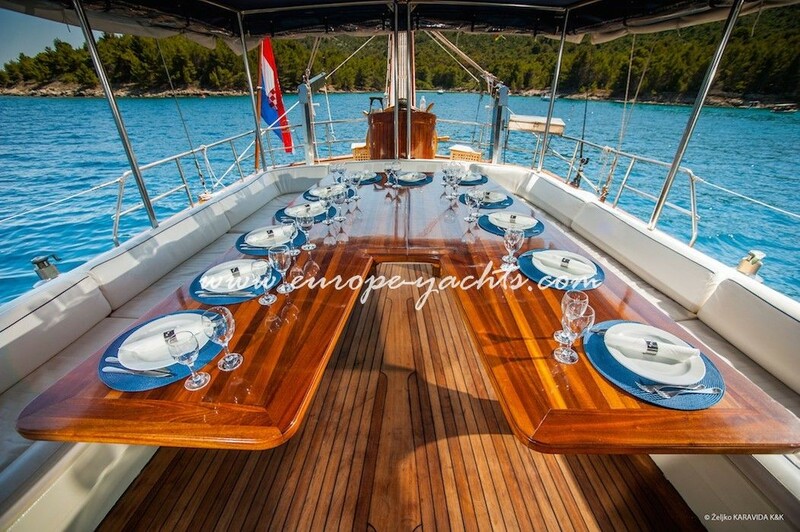 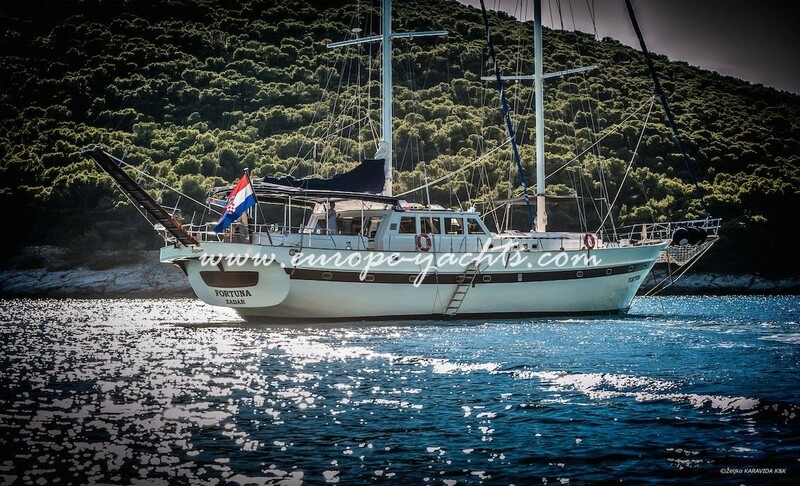 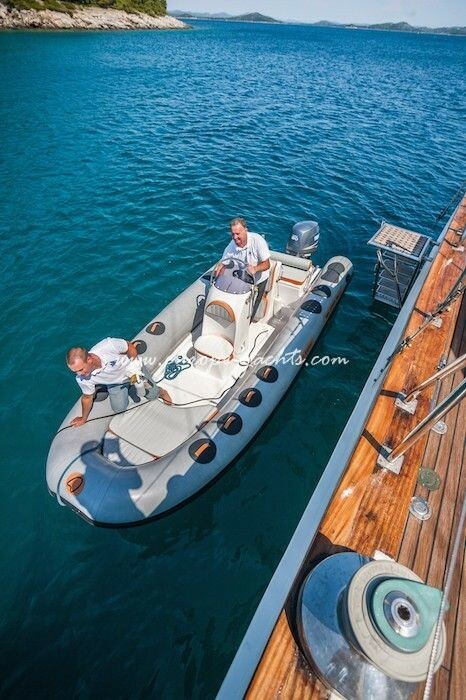 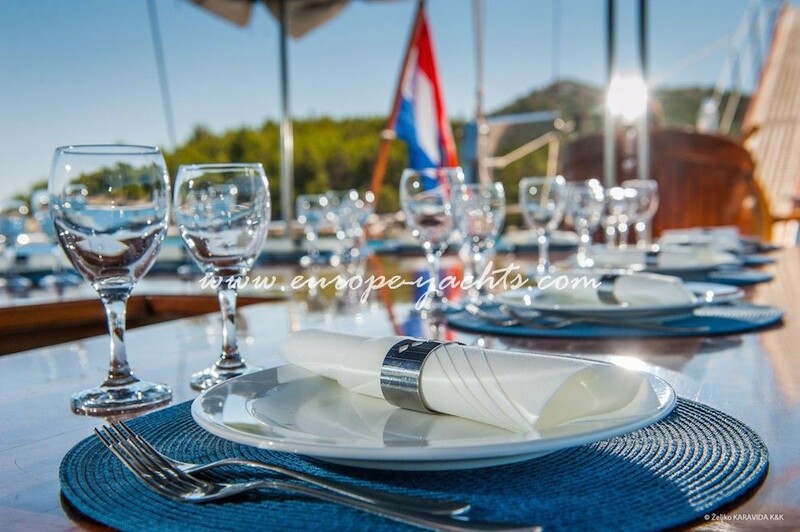 If you would like to spend a more active holiday on board you can use all the equipment: dinghy Jocker 430 with outboard engine 50 HP Evinrude, windsurf, sea kayaks, snorkeling and water-skiing equipment. 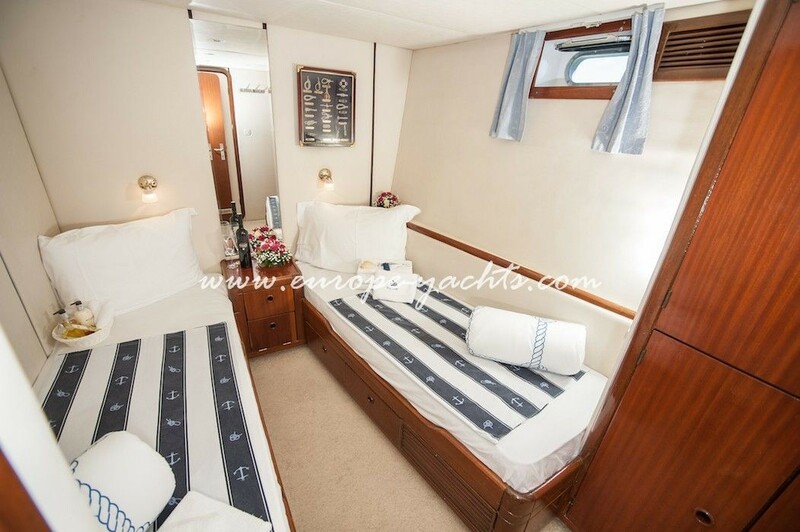 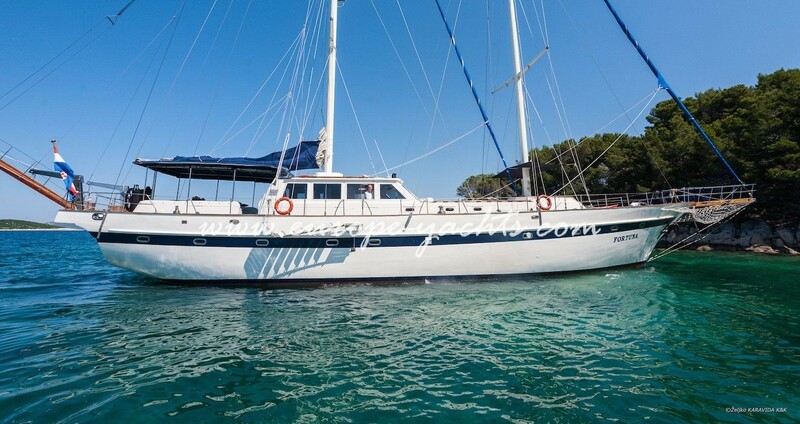 Or maybe you would just like to lay down and enjoy your holiday time or deck or saloon (equipment: music & TV set, DVD player in saloon, internet, bar with icemaker and espresso and galley with cool storage).